Take your first step towards a better smile and book a FREE consultation with our dedicated treatment advisors! Patient care and service are our highest priority and your first appointment is an opportunity to meet our team in a friendly relaxed environment. Treatment advisor appointments are available to everyone. 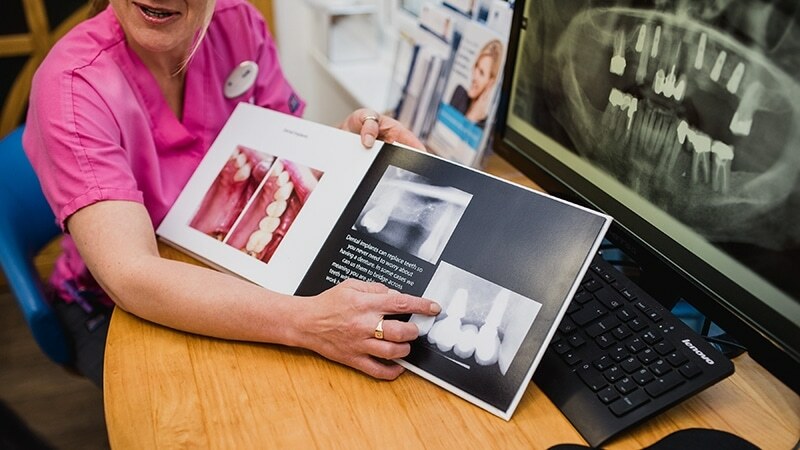 Our senior dental advisors will discuss with you what you would like to achieve with your dental health and the appearance of your smile, and listen to any problems you may have had with your teeth in the past. They will be able to give you an approximation as to the specific investment required to give you the smile you have always wanted. These consultations are an hour long and totally FREE. New patients who wish to see a dentist directly will have a thorough examination to check every aspect of your dental health and facial appearance. Having gathered this information, we will then be in a position to advise you on the most appropriate treatment plan for your situation. Together, we can improve your dental health and, if you wish, the appearance of your smile. 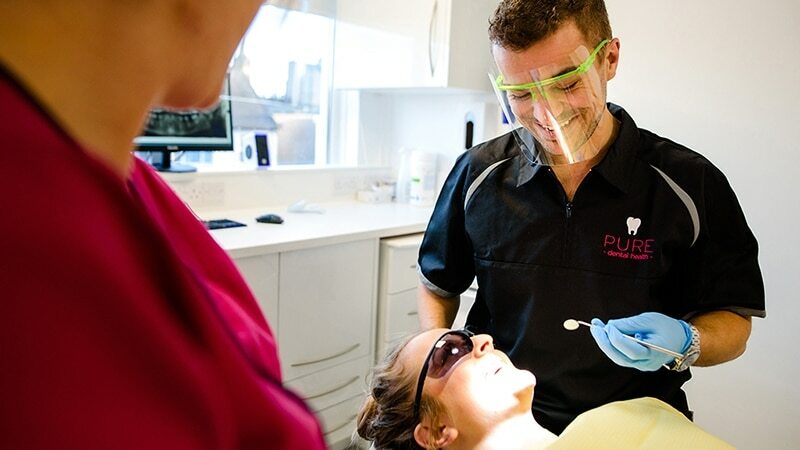 If you wish to see a Pure dentist directly then you will have a thorough examination to check every aspect of your dental health and facial appearance. We offer Treatment Advisor Consultations, as they are designed to help give you information about how we can help, without any financial commitment. We don’t have waiting lists and appointments are really simple to make. Just call our friendly reception team on 01872 222404. I am really nervous about visiting the dentist, can you help me? Yes of course, dealing with anxious and nervous patients is part of our job, we understand many people may have had a previous bad experience at their dentist. We have a friendly caring highly experienced team here who will really look after you. We take our time to get to know you, understand your needs and never rush. We also offer dental sedation which allows us to provide treatment in a pain free and the majority of clients get total amnesia. Meaning your treatment can be carried out without you having to know anything about it. Many of us feel anxious or a bit nervous before a visit to the dentist. That’s natural, and nothing to feel embarrassed about. 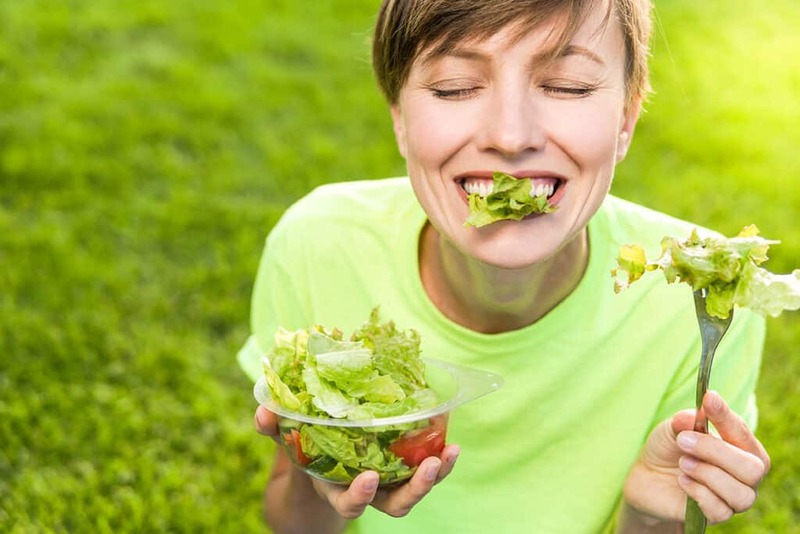 What is more of a problem, however, is when that fear leads us to neglect our teeth, which can lead to the need for even more dental treatment, which causes even more worry. 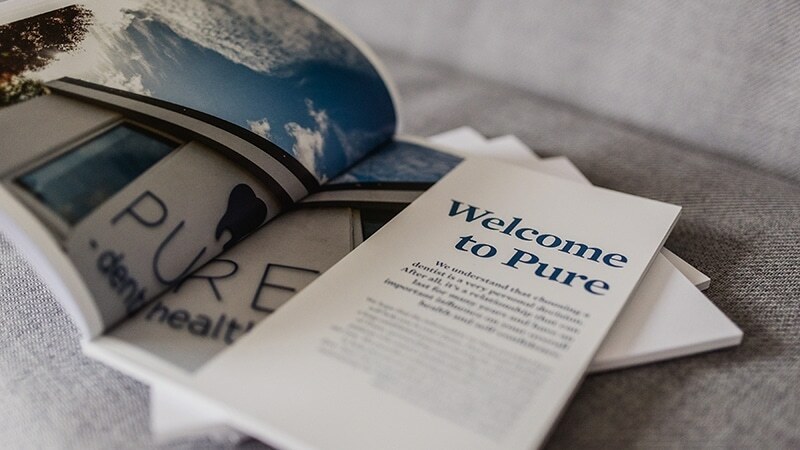 At Pure Dental Health, we are able to offer our patients dental sedation, a technique which allows you to remain conscious but in a state of total relaxation. Also known as conscious sedation, dental sedation is an oral or intra-venous medication that removes anxiety allowing treatments to be carried out. You remain conscious and able to respond verbally to the dentist. It reduces the need to use general anaesthetics, and also allows more surgery to be completed in fewer appointments. While you are sedated, you can breathe and talk normally, and feel comfortable and calm. Most importantly, all your anxious feelings have gone. You won’t remember much about your experience afterwards, and will come gently back to earth knowing that your treatment has been completed. If you experience dental anxiety, and would like to find out more about this technique, Book Your FREE Consultation with our dedicated treatment advisers and start your journey with us today. A thorough and comprehensive examination of your mouth and all of your teeth. Oral cancer check will also be done as a matter of course. We will also take digital x-rays which provide us with very detailed pictures of your teeth. Photographs may be taken of your teeth as well to help explain any issues or problems you might have, this helps to build trust instantly. At the end of this appointment the dentist will spend time explaining the condition of your teeth. They will also explain any treatment that is needed and any questions you might have can be answered. We provide a written estimate of costs for further treatment at this stage, unless your issues are complex then more investigations may be needed, this will be explained at this time. The charge for this is £120 and please note that payment for the appointment will be taken over the phone, at the time of booking. This dedicates this appointment space to you. Book Your FREE Consultation with our dedicated treatment advisers and start your journey with us today. Book Your FREE place. Free presentations on the advantages of dental implants.